Where I got it: I bought it at the Jamieson's factory in Shetland. 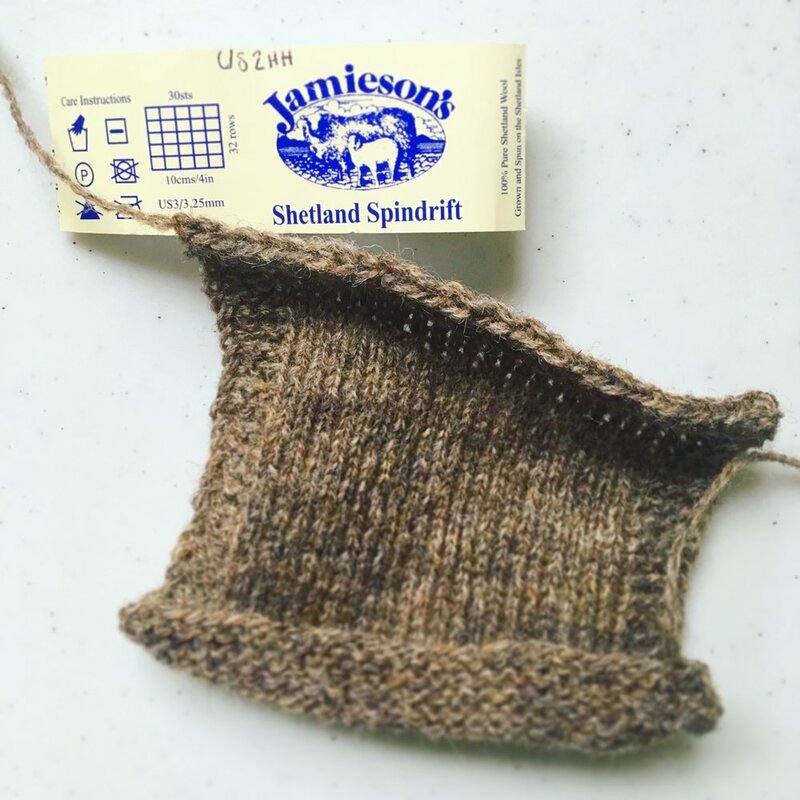 My Thoughts: This is a great, classic Shetland wool yarn. Shetland is a heritage breed that's perfectly suited to its environment - it's not super soft like Merino, but the fabric is hard-wearing and warm. The woolen spun structure means it's really lightweight for all the warmth it gives too. This kind of yarn is great for colorwork because it's really forgiving and blooms beautifully, evening out tension issues. If you love a good rustic wooly yarn, this is for you! What I might design with it: I want all the colorwork! I'm thinking accessories with this one - I bought a bunch of colors in Shetland, so maybe something with a main background color and shifting pattern color, probably a hat. Where you can get some: The Jamieson's website, or a variety of LYS's in the US.